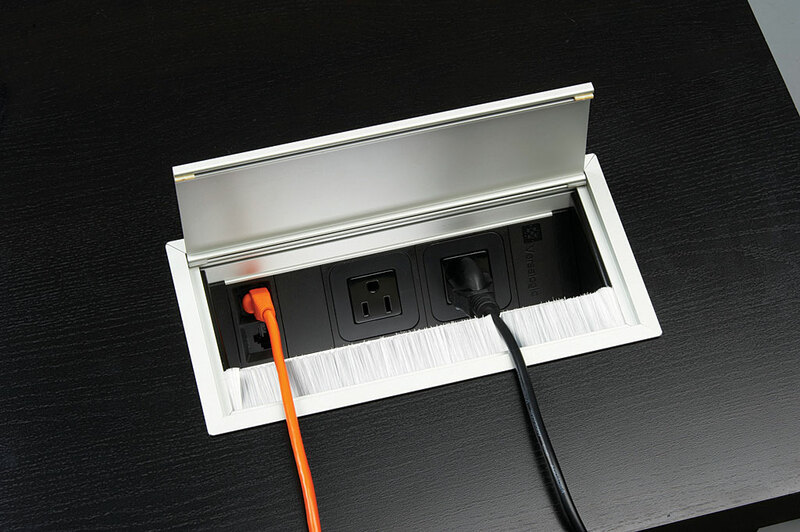 The VersaFLAP offers a beautifully styled exit edge complete with a below-surface power module mounted at a 45-degree angle to avoid damage from spilled liquids. 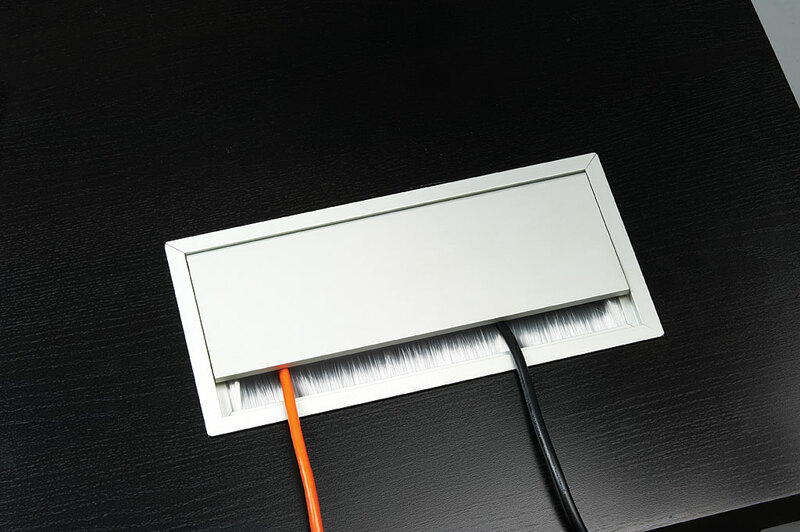 Wires and plugs can easily be connected to the module while the cover of the VersaFLAP can be closed or left open, reducing clutter and increasing usable work space. The VersaFLAP comes with two RJ45 Cat 6 ethernet connections as well as one 5V USB connection. Ideal for desktops and community tables at schools and libraries, as well as conference and hotel rooms. The two meter long POWER CORD is available for this product.